The Ashburner family is the fourth family to be associated with Hancock's Daffodil Farm. The proud history stretches back over 90 years. Our founder was an Englishman, Mr H.A. (Harry) Brown, who began breeding and marketing daffodils at Ballarat as far back as 1917. He later moved to Camberwell taking his bulbs with him. Around 1935 he moved the farm to Ferntree Gully where his flower farm was known as Lyndale Gardens. This was on the site of the present Ferntree Gully library and Lyndale Crescent commemorates its previous use. In 1945 Mr Brown sold the business to Mr J.N. (Norman) Hancock, who later moved it to his property at Olinda Creek Road in Kalorama in the Dandenongs. By 1959 Mr E.H. (Ted) Breen had joined the business as a partner, the firm was registered and well known in Australia and overseas as "J.N. Hancock & Co."
Ted and Ethel Breen took over the company in 1967 when they moved the bulbs to the Breen (who were original Dandenong Ranges settlers) family farm at Menzies Creek. Mrs Beryl Hancock was responsible for the continuation of Mr Brown's breeding program until 1970 when Mrs Ethel Breen took over this part of the business. Rex and Kath Breen joined Rex's parents in the business in 1981 and took over completely in 1984 when they retired. 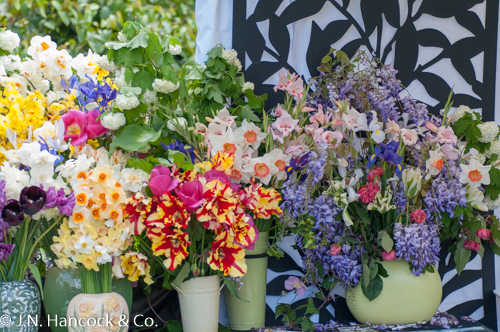 They pioneered the use of colour in their catalogues and continued the importation of the best garden varieties from around the world and the release of Hancock's breeding. 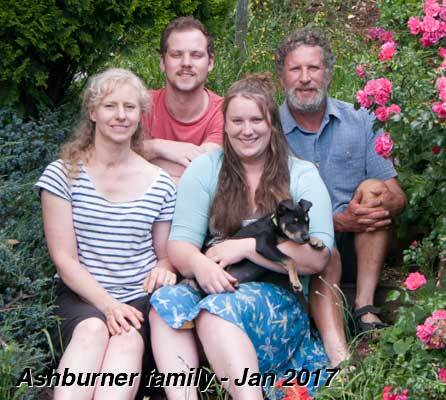 In July 2000 Christine and Will Ashburner took over the farm. They continue the production of decorative and garden worthy daffodils both old favourites and new. Only the best varieties tested for our climate are released from the long established breeding program and from other breeders world-wide. The business has grown in its nearly 100 year history to become established as Australia's leading daffodil specialists, offering over 1,000 individual varieties of daffodils to the home gardeners of this country.